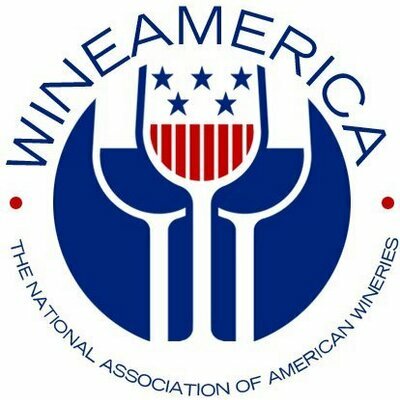 WineAmerica, the National Association of American Wineries recently unveiled a national economic impact study showing the wine industry’s total benefit to the American economy at $219.9 billion in 2017. This is the first detailed study ever conducted of the wine industry’s national economic impact. The study was conducted by John Dunham & Associates of New York, and included figures for all 50 states, since wine is produced in every one, from Alaska to Florida and Wyoming as well as California, Washington, Oregon and New York. The comprehensive study measured direct, supplier, induced, and total output including jobs, wages and taxes at all three levels. Of the total impact—$219.9 billion—the wine industry’s direct impact is $84.5 billion, the supplier impact $58.8 billion, and the induced impact $76.6 billion. The wine industry provides nearly one million direct jobs (998,496) and over $33.5 billion in annual wages. When supplier and induced figures are included, the totals are 1,738,270 jobs and $75.8 billion in wages. The wine industry generates a total of $36.5 billion in total taxes, including more than $19 billion to the federal government and $17.4 billion to states and localities. California is by far the largest grape and wine-producing state, accounting for about 85% of the country’s total output, but the wine industry is growing rapidly across the country, particularly in states where public officials have created a friendly business climate to stimulate industry growth. More information on individual state statistics, and about the study in general, is available on the WineAmerica website, www.wineamerica.org. In Maryland, the wine industry generates close to $2.6 billion in total economic activity in the State of Maryland, dramatically illustrating that wine is the ultimate value-added beverage. The broader economic impact flows throughout the state, generating business for firms seemingly unrelated to the wine industry. Real people with good jobs, working in industries as varied as farming, banking, accounting, manufacturing, packaging, transportation, printing, and advertising depend on the wine industry for their livelihoods. Wage Generation: The Maryland wine industry provides good jobs, paying an average of $41,300 in annual wages and benefits. The total wages generated by direct, indirect, and induced economic activity driven by the wine industry are $920.1 million. Tourist Activity: The Maryland wine industry is a major magnet for tourists and tourism-driven expenses. Maryland’s “wine country” regions generates 167,039 tourist visits and $68.6 million in annual tourism expenditures, benefiting local economies and tax bases. Tax Revenues: The Maryland wine industry generates sizeable tax revenues on the local, state, and national levels. In 2017, the industry will pay nearly $165.9 million in state and local taxes, and $209.7 million in federal taxes for a total of $375.6 million. In addition, the industry generates approximately $17.0 million federal consumption taxes and $161.8 million in state consumption taxes which include excise and sales taxes. Add Cool Ridge Vineyard to a distinguished list of winners of Maryland’s Governor’s Cup for Best in Show in the annual wine competition. That list includes many of the state’s top wineries, including Black Ankle, Boordy, Big Cork and Bordeleau. Cool Ridge is another of the wineries popping up in Maryland’s Washington County, located in the vicinity of Hagerstown. Gary Glocker took his childhood memories from his uncle’s winemaking in Germany and eventually, with his wife Suzanne, planted 16 acres of grapes and a year ago opened the winery. The Maryland Wineries Association proudly announces the winners of the 29th Annual Maryland Governor’s Cup Competition. The judging for the prestigious awards took place on Sunday, August 13 at the Center Club in Baltimore, with over 30 wine experts from the region who tasted over 150 different wines, including sparkling, whites, rosés and reds. Gold medal-winning wines competed for Best in Class and Best in Show honors. Cool Ridge Vineyard Cool Red 2015 earned the Governor’s Cup Best in Show and Great Shoals Winery Hard Plum 2016 was awarded the Jack Aellen Cup. “Our wine producers are doing so much for Maryland, and the Governor’s Cup competition brings together the best of the best amongst Maryland-produced wines,” Governor Hogan said. “We’re so honored to receive this award for our inaugural release of our estate-grown wine,” said Gary Glocker, who with his wife, Suzanne, are proprietors of Cool Ridge Vineyard in Hagerstown. The Jack Aellen Cup is a recent addition to the competition and specifically highlights fruit wine, cider and mead. The cup is named after Linganore Winecellars founder, Jack Aellen, who pioneered wines from fruit and honey in Maryland. The “Jack Aellen Cup” is presented annually alongside the Governor’s Cup. “We are thrilled that our Hard Plum cider caught the judges’ attention,” said Great Shoals Winery proprietor, Matt Cimino. Competition Director Al Spoler continues to be impressed by the world-class wines coming out of Maryland, “We held the 2017 Governor’s Cup at Baltimore’s prestigious Center Club, and the wines certainly rose to the occasion. Although we had a very tough and discerning judging panel, nearly one quarter of the wines took home a gold. All of our well-established wineries did well, but so did a number of newcomers, which is very encouraging for our industry’s future,” said Spoler. See a full listing of the results.